An Android tablet is indeed very helpful, right? Most people using tablet found it very convenient, except for the time when trying to recover the accidentally deleted files. 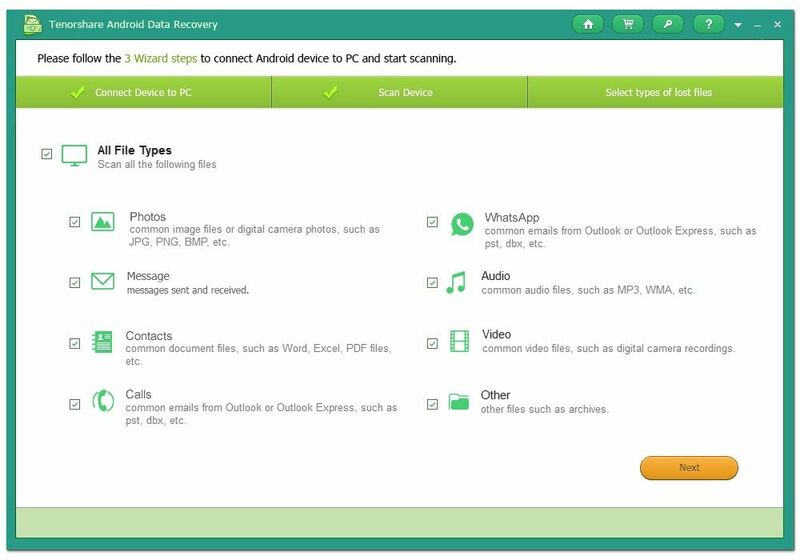 Android tablet data recovery does not have to be that hard, if you got the right assistance. So, if you are an Android tablet user, be it from Google Nexus, Samsung Galaxy, ASUS, or Sony Xperia, and you have lost photos, videos and some other files stored on whether SD card or internal storage, for the sake of your data's full recovery, stop using the tablet until you get your files back. Some of you might have heard this many time, but why? Here's the reason: the files you deleted from the tablet is still there, hiding from your visibility, waiting to be overwritten by newly added data. 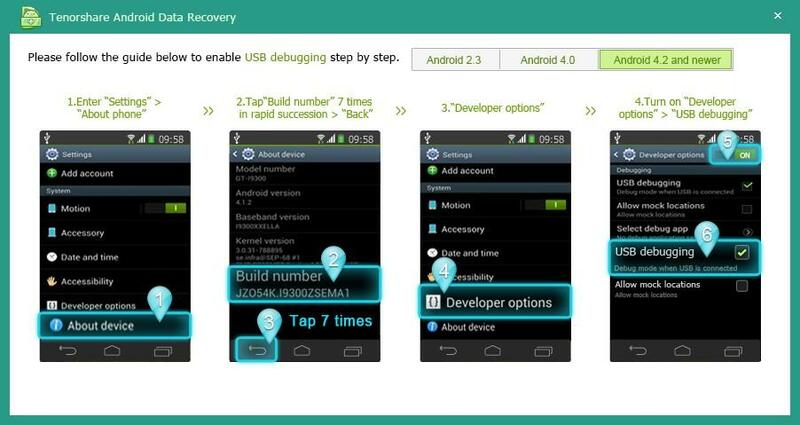 Some of you might have not rooted your tablet, so for your information, Android Data Recovery could only recover photos and videos from unrooted device. 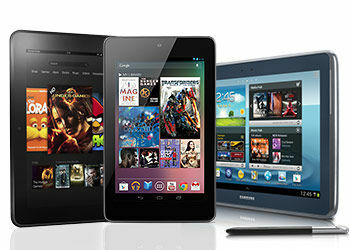 But if you have rooted the tablet, the contacts, messages and such will be included in the list. 1. 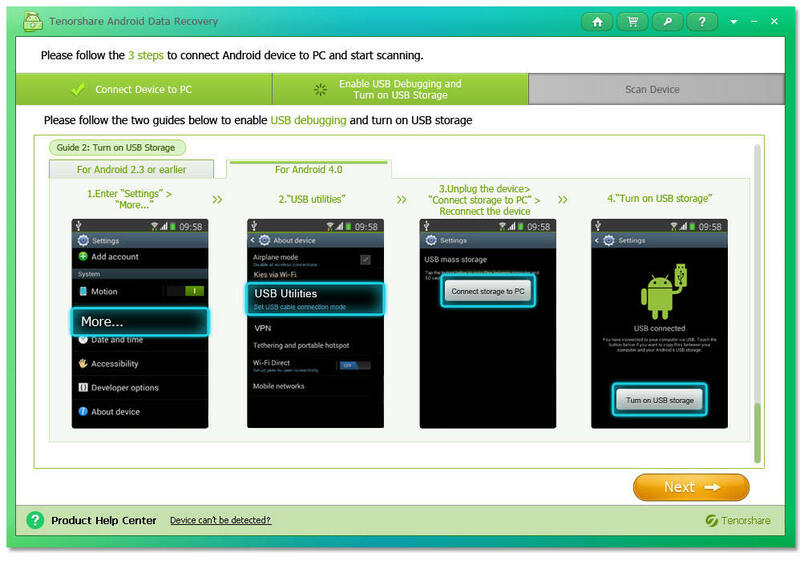 Connect your Android tablet to PC with the USB cable, then run Android Data Recovery. If you have not installed USB driver for your tablet on this computer, wait to see the Hardware update wizard to pop up, and follow the instruction. 2. Then enable USB debugging and turn on USB storage, the picture says itself, just follow, and click "Next". 3. If an app. 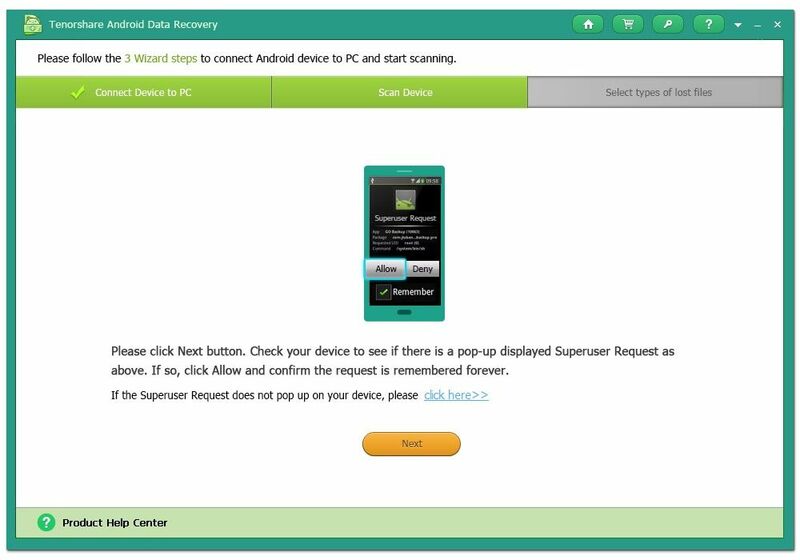 Superuser Request pops up on your Android tablet, just click "Allow". Then hit "Start" and select your file types for the scanning. 4. After the scanning is over, click on the file to preview, select them and click "Recover" to recover the files. Then choose a location to save the recovered files. Viola, your lost or deleted photos, videos and other files are back! 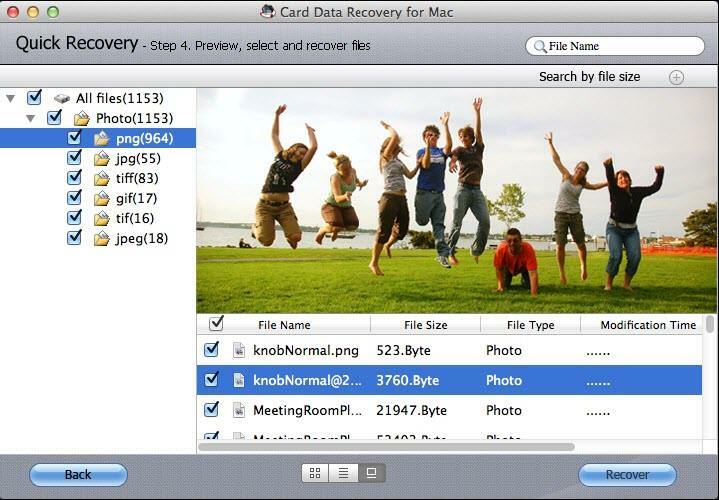 If your deleted photos, videos or files were stored on your SD card and you are running Mac, then use Card Data Recovery for Mac. 2. Select your card as the target partition, and choose the file type you want to recover, then hit "Start Scan". 3. When the scan result shows, click on the item to preview, and hit "Recover" to recover the files. 4. Save the files on Mac, not on your card. 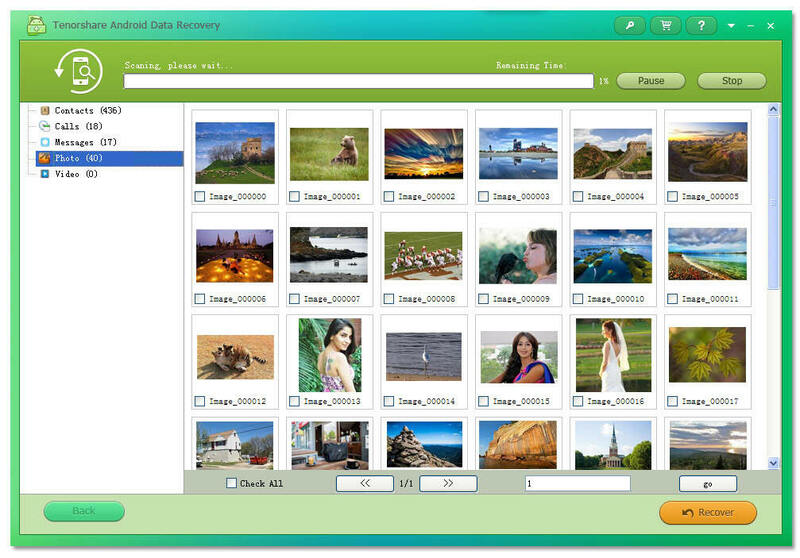 Then you will see the recovered files, feel free to transfer them to wherever you want. If you have a specific branded tablet, like Samsung Galaxy, just go to Samsung Tablet Data Recovery.